When you navigate to your Chart of Accounts page, you’ll notice that it has received a serious facelift. We’ve upgraded and reorganized to make navigation more friendly and easier to understand. One of the biggest changes to the Chart of Accounts is how you'll be getting around. You can now navigate between account types using tabs at the top of the page, versus scrolling through a list of everything. You’ll see a tab for Assets, Liabilities, Income, Expenses, and Equity accounts. The Account Name, ID, and Description can be edited at any time by clicking on the grey pencil icon to the account’s right. Accounts can now be archived by clicking the grey pencil icon to the right of the account and selecting the Archive Account option that appears in the new window that opens. Once an account has been archived, you can still run reports for the account and retain any transactions that have been categorized into it, but it will not be possible to use the account for any new transactions unless it is un-archived (which can be done at any time by reversing the steps above). This replaces the delete function. When an account is archived, you will see a new tag next to it in the Chart of Accounts page. You no longer need to manually add accounts for payable and receivable sales taxes. Instead, when you add a sales tax, Wave will create the appropriate account for you under the Liabilities tab. For more details on accounting for Sales Taxes with the upgraded system, click here. New to Wave is the ability to provide a numerical account ID to any non-system account in your Chart of Accounts. If you’re working with an accountant, or are moving to Wave from another accounting software, account IDs add a language layer to your Chart of Accounts that helps you or your account users reference information more quickly. 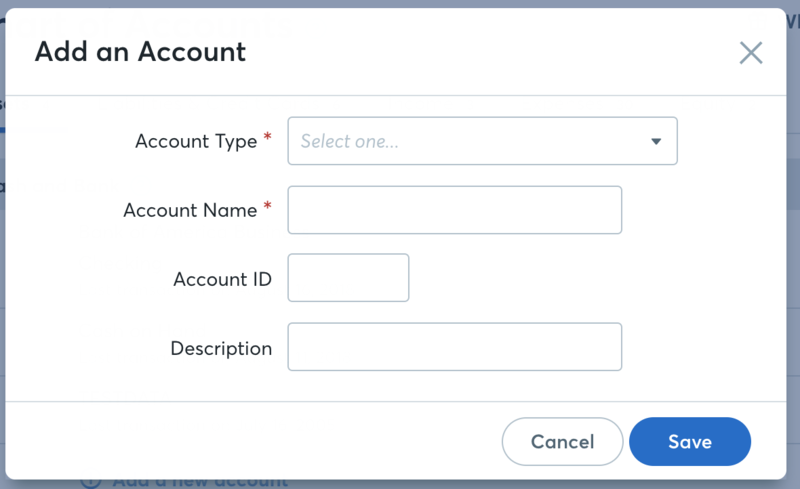 To add an account ID to your chart of accounts, you can do so when creating a new account or by clicking the pen icon to edit the account information.